I love to read. In 2015, thanks to a longer commute, I read more books than I had ever read in a single year. 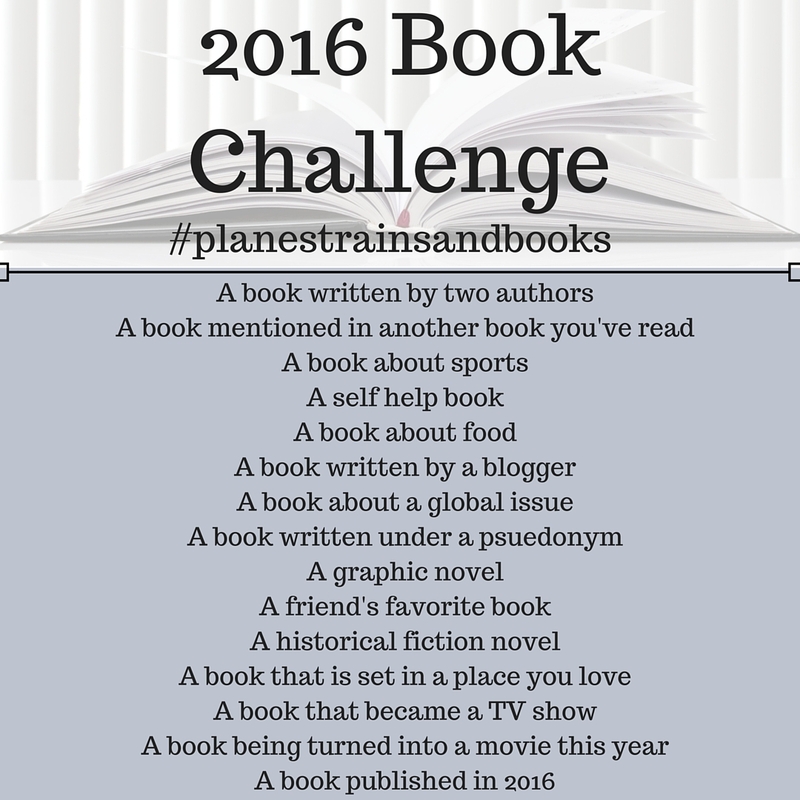 Last year, I was working toward a book challenge which I almost finished. I missed completing it by two books because 1) I couldn't find books that match those categoreis and 2) there were some other books that I read that didn't fit the categories but I really wanted to read. Inspired by the challenge, I've come up with my own book challenge with a number of books that I think is manageable for anyone, while still leaving room to read whatever else you like! You can read anything you want that fits in with the categories and you can definitely get creative! This is supposed to be fun, so enjoy it! I'll be posting my progress on goodreads and of course, Twitter and Instagram using the #planestrainsandbooks!